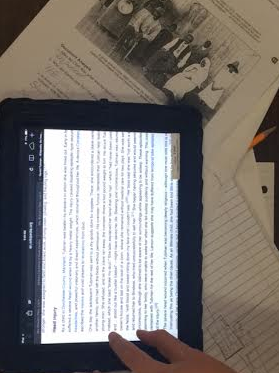 If you don’t know what a Document Based Question (DBQ) is, you should. 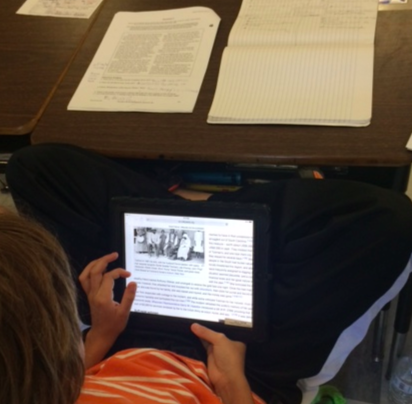 DBQs are collections of primary sources that lead up to a main idea. 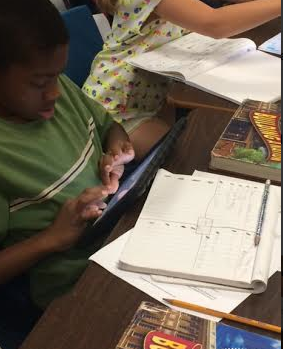 After a class studies a set of primary sources, they formulate that main argument and support it. For instance, earlier in the year my students studied why so many colonists at Jamestown died, and recently we have studied Harriet Tubman and students had to argue what her greatest achievement was during her lifetime. Intense right? Visit the DBQ website to learn more about DBQs. Charleston County was required to teach two DBQs during this school year, and as I planned and implemented these lessons I realized I learned as much as the kids! Did you know Harriet Tubman’s real name was Araminta Ross? I didn’t. Did you know colonists at Jamestown drank the same water they relieved themselves in and it was a major cause of why colonists died?!?! Yuck! Well, unfortunately, my knowledge of Harriet Tubman only goes so far so when students began bringing these questions to me I was forced to give them the tool they are now so used to using, their iPads. All over the classroom, it seemed as if more and more students were trying to come up with complex questions just so they could do research and use an original supporting fact in their writings. I am so thankful that I have a classroom full of students that not only know how to ask important questions, but they also know how to find the answers to these questions! Thanks to a year of hard work and supportive documents, my students have developed into advanced writers and thinkers.